We have been asked to announce the death of William Alfred (Billy) Desmond, formerly of Ramsey. He passed away on Friday 30th March 2018 at Nobles Hospital. He leaves wife Greeta, sons Alan, Paul and Neville, Grandchildren, family and friends. The funeral service will be held at St Pauls Church, Ramsey at 11.30am on Tuesday 24th April followed by Interment at Lezayre Churchyard. Family flowers only please. For further information regarding donations in lieu of flowers please contact Corkhill & Callow on 813114. We have been asked to announce the death of Stephen Paul Lewis, aged 45 years, formerly of Ramsey. He leaves dad Peter, brother John, sisters Carol and Tracey, family and many friends. The funeral service will be held at Douglas Borough Crematorium at 2pm on Friday 13th April 2018 followed by private interment. Family flowers only please. For further information regarding donations in lieu of flowers please contact Corkill & Callow Funeral Directors on 813114. We have been asked to announce the death of Sidney James ( Sid ) Clague, aged 96 years, formerly of Ramsey. He passed away on Friday 30th March 2018 at Brookfield Nursing Home. He leaves sons John, Bill and Chris. Daughter Jessica and family. The funeral service will be held at Kirk Maughold at 3.00pm on Tuesday 10th April 2018 followed by interment. Family flowers only please. For further information regarding donations in lieu of flowers please contact Cowles Northern Funeral Service on 815156. We have been asked to announce the death of Roy Crawley, aged 81 years, of Port Erin. He passed away on Wednesday 28th March 2018 at his home. He leaves wife Pam, sons Juan, Anthony and family. The Funeral Service will be held at Douglas Borough Crematorium at 2pm on Wednesday 11th April. on Castletown: 824134 or Port Erin: 833602. We have been asked to announce the death of Gerald Edward (Gerry) Massey, aged 81 years, of Station Road, Kirk Michael. He passed away on Tuesday 20th March 2018 at Ramsey Cottage Hospital. Beloved husband of the late Pat, much loved dad to Dave and dear granddad to Victoria, sadly missed by Dorothy and all his family and many friends. The Funeral Service will be held at Kirk Michael Church at 12pm on Thursday 29th March followed by burial in Kirk Michael Churchyard. Family flowers only please. For further information regarding donations in lieu of flowers please contact David Lancaster Funeral Director Ltd on 842945. We have been asked to announce the death of Thomas Edward (Tommy) Kelly, aged 85 years, of Hazel Court, Pulrose. He passed away on Tuesday 20th March 2018. He leaves wife Thelma, father of Linda and Mark. Father in law of Richard and Debbie. Granddad of Robert, Michael and Samantha, a great granddad and uncle. 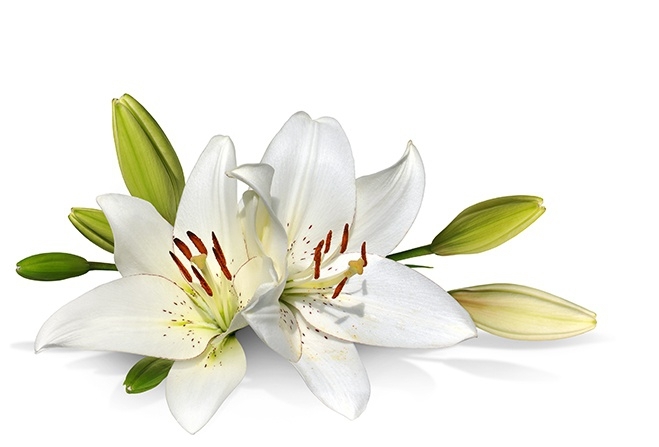 The Funeral Service will be held at Douglas Borough Crematorium at 10am on Thursday 29th March. Family flowers only please. For further information regarding donations in lieu of flowers please contact Alfred Duggan and Sons on 673328. We have been asked to announce the death of James Joseph (Jim) Maddocks, aged 84 years. He passed away on Sunday 18th March 2018 at Nobles Hospital. Loving father of Donna, Julie, Gary, Kim, Stephen and Lynsey. Partner of Valerie, Cherished grandad, brother and uncle. at 12pm on Monday 26th March. Family flowers only please. For further information regarding donations in lieu of flowers please contact Eric Faragher Ltd on 673109 or 622897. We have been asked to announce the death of Philip Ashcroft, formerly of Wentworth Close, Onchan. He passed away on Thursday 15th March at Nobles Hospital. Much loved husband of Mary and a dearly loved father, grandfather and great grandfather. The funeral service will be held at St Peters Church, Onchan at 10am on Tuesday 20th March 2018. We have been asked to announce the death of Allan William Crellin, aged 83 years, formerly of Glashen Close, Ballasalla. He passed away on Thursday 8th March at Nobles Hospital. The funeral service will be held at The Abbey Church, Ballasalla at 2pm on Friday 16th March 2018. Nominated Charity is Manx Bird Life or The Salvation Army. We have been asked to announce the death of Roger Freedman. He passed away on Sunday 4th March at Abbotswood Nursing Home. Sadly missed by family, friends and colleagues at St. Christopher’s, The Welcome Centre and Abbotswood Nursing Home. The funeral service will be held at Douglas Borough Crematorium at 11.30am on Friday 23th March 2018. For information regarding donations please contact Cringle & Co Ltd Southern Funeral Service Castletown: 824134 or Port Erin: 833602. Nominated Charity is Marie Curie. We have been asked to announce the death of Phyllis Irene (Rene) Hawkins, aged 96 years, formerly of Port St Mary. She passed away on Thursday 1st March at Springfield Grange Nursing Home. Beloved wife of the late Will she leaves daughters Joyce and Cynthia and son John and families. The funeral service and cremation will be held at Douglas Borough Crematorium at 12.15pm on Thursday 15th March 2018. We have been asked to announce the death of Hilda Davies, aged 89 years, formerly of Kerroo Coar, Peel. She passed away on Monday 5th March 2018 peacefully at Nobles Hospital, Braddan. She leaves children Michael, Amanda and families and sister Pat. The Funeral Service will be held at Peel Cathedral at 1pm on Wednesday 14th March 2018 . We have been asked to announce the death of Anne Elizabeth Cleator, aged 89 years, formerly of Minorca Crescent, Laxey. She passed away on Thursday 1st March. She leaves daughters Pauline & Jan and sons Willie, John, Mark and families. The funeral service will be held at Laxey Methodist Church at 12.45pm on Friday 23rd March 2018 followed by a cremation at Douglas Borough Crematorium. Family flowers only please. For further information regarding donations in lieu of flowers please contact John Boyde Funeral Services on 861794 or 494399. Nominated Charity is Laxey AFC.